Connect with Costa Rica's people and cultures. You opt for the road less traveled and for authentic experiences. 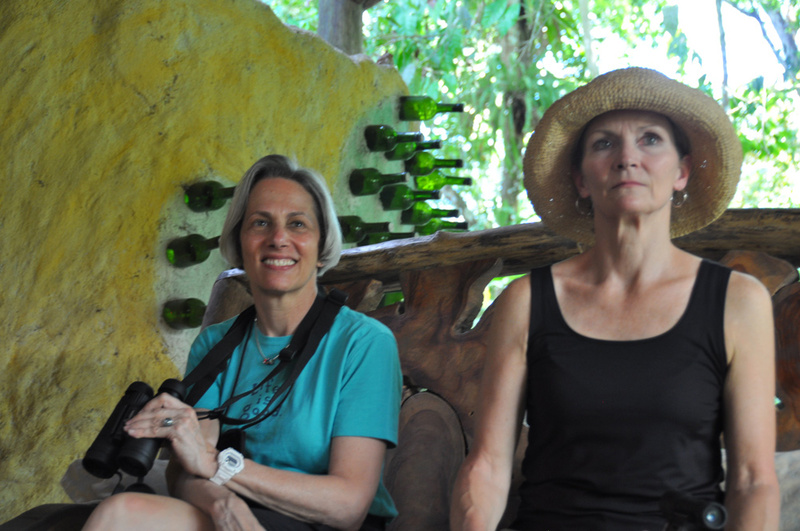 Travel With Ann Experiential Adventures creates trips for travelers to learn more deeply about a destination and the people who live there. Your visit is environmentally responsible, you shop locally, and your experiences are authentic. Experiential travel means that local communities benefit from your visit as much you do. Experiential travel is also fun...really fun! A Sunday afternoon pick-up game at the community soccer field. Trying your hand at the fine art of tortilla making. Buying a traditional mask carved by one of the village’s master carvers. Planting a greenhouse with the students at a local school. Each Travel With Ann adventure is new and unique, but maintains the same fundamental local elements. Solid relationships in your trip’s destination are the gateway to keeping trips innovative, fresh and meaningful. In Ann’s case, her friends like Alex, long-time Wonderful Women guide; Gaby, Personalized Spanish school founder; and Roberto, San Jose social entrepreneur provide perspective, and insights about local businesses and restaurants to support, communities that have expanded their capacity to accommodate travelers, and exciting new ways to experience different destinations. You can research online, read the news, and do lodging site inspections, but the best way to find information is by maintaining your relationships and friendships with locals on the ground. For Ann, this involves scouting trips to uncover new and different locations that might work for a trip that’s “in development”, or to return a few years later to reassess. Costa Rica’s southern Coto Brus area is one such example. On Ann’s first visit several years ago, the infrastructure wasn’t quite ready for a group stay, but by 2017, the time was right. Exploring the Coto Brus region was a true highlight for last year’s Wonderful Women travelers. Step Three: On-going Awareness of Trends and Issues When building an experiential itinerary, keeping your finger on the pulse is incredibly important. You need to know that Costa Rica’s capital has now emerged as a gastronomic hub and also that the emergence of a network of rural, local entrepreneurs in the Osa Peninsula opens new opportunities for the locals and off-the-beaten-path travelers. Similarly, you must be able to assess authentic versus mass produced indigenous art/handiwork products. A trip that focuses on experiential travel should include a comfortable rhythm of people, places, activity and engagement. There is no upside to traveling at breakneck speed. Make time for cross cultural interaction and engagement with locals, while also building in downtime to relax, rejuvenate and process the experiences along the way. Check out Ann’s Wonderful Women Adventures itinerary for a real world example of experiential travel.